Vega Electrical, is a La County based full service electrical contractor providing the Los Angeles and Orange County areas. With over 10 years of experience, you'll be assured that the job gets done correctly and on time. You'll receive prompt, professional, courteous service. 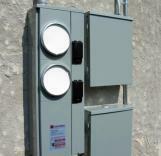 Vega Electrical provides high quality services for every application from small repairs to new building development.